The Stick Up – A Poster Show | " THE INTERNET IS DEAD! 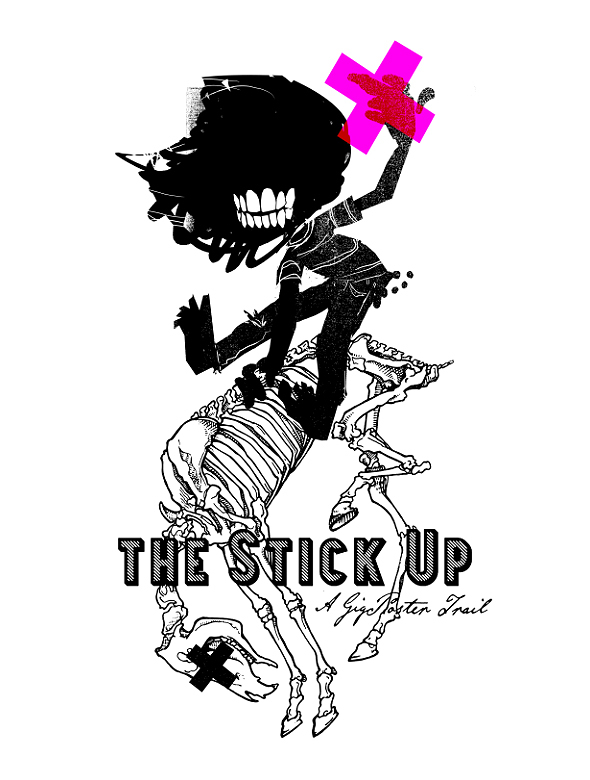 …LONG LIVE INK AND PAPER "
It’s 2014 and “The Stick Up” screen printed gig-poster show is back! We whipped the web-monkey real hard and finally he worked out how to archive the previous years stuffs n’ whatnots under a submenu listed up there as ‘History’ (cause thats what we’re making when we’re not making posters) …artist profiles and news bites for this year’s event will be coming soon… we have a great lineup. Note that the Brighton Fringe catalogue has got the dates wrong – we launch the Stick Up Shop on the 8th and close on the 10th, but the posters on the trail WILL be up a little longer than that, and purchase opportunities will be open to those of you who couldn’t make it to our space… our space by the way is pretty awesome – it’s only the Create studio/gallery! slick huh? costs a cool grand to run that place for a week… do we make that money on commissions from the sale of artists’ posters to you (our beloved public)? HELL NO! we do not! We have deliberately set this show up in a manner that allows you to get your mitts on them for the best price possible! we rule – it’s true. So get yourself along and snap up some treats – or send a lackey down there with your chink and a colour chart… do it! Launches on the Thursday 8th of May and runs through till Saturday 10th !